William attends Kiriko Primary School, where he is often one of the top 5 students and usually earns an average of 300 marks. William’s single mother is also mentally unstable, and therefore has a difficult time providing for her children. The family relies on well-wishers for their basic needs such as help with building a shelter and procuring food and clothing. Without financial support, William will be unable to meet his career goals. An interview with him proved his thirst for education. Last term, William told us he missed two weeks of class in order to herd his neighbor’s cows. 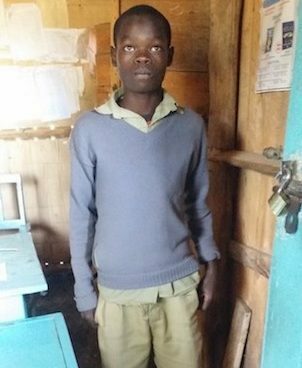 He used the money he earn to buy a new school uniform in order to continue going to school. We hope that Wiliam will find a sponsor to help him achieve his dreams and achieve his education. With a good education, William will also be able to provide for his ailing mother and siblings. Consider helping William today!